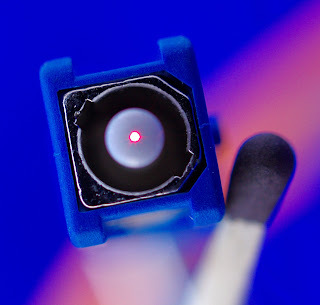 Here is a 50μ optical fibre through which an ordinary laser pointer's light is conducted. The fibre is a patch cable with SC connectors at both ends. Here is the light emerging from the one end of the ST connector. A matchstick has been included in the picture for a sense of scale. The orange cladding of the patch cable is visible in the background. 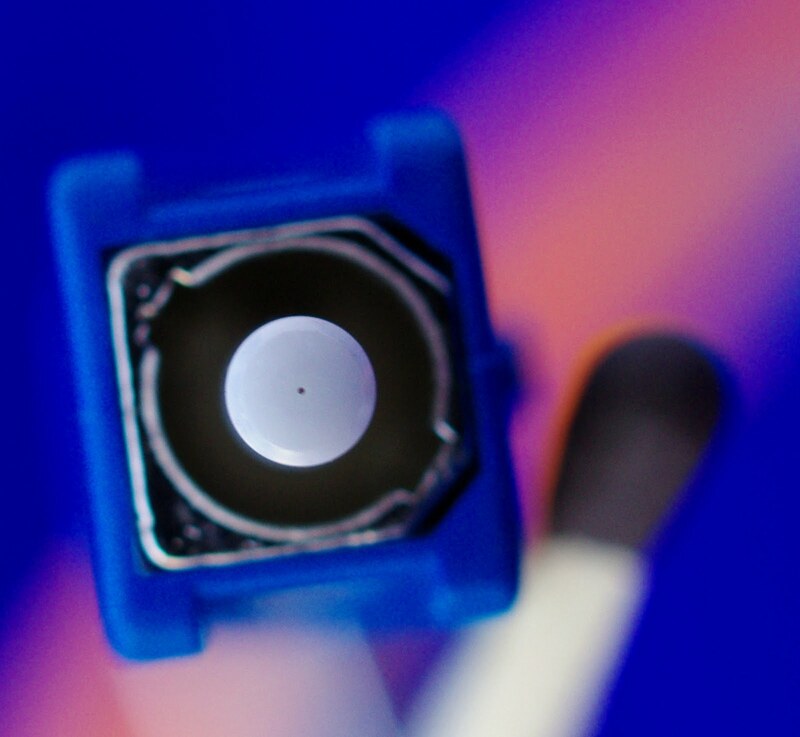 When the laser at the other end is switched off, one gets an even better feeling for the diameter of the fibre.